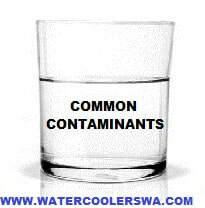 COMMON DRINKING CONTAMINANTS - AWESOME WATER COOLERS Ph Ideal pH for drinking water is 7.5. All sources of drinking water contain some naturally occurring contaminants. ​and rock it dissolves or absorbs the substances that it touches. According to its exposure, water transforms in composition and in physical parameters. intake has been linked to impaired brain function, including Alzheimer’s disease. for bone and tooth formation. contamination of ground and surface waters. Water sources containing any coliforms must be treated before consumption. Hardness Usually attributed to calcium and magnesium ions that combine with soap to form an insoluble scum around plumbing fixtures. Manganese (Mn) High levels are toxic to expectant mothers and young children. and can remain in sediment for years. various hazardous effects on humans. and can cause corrosion of pipes and fixtures. pH above 8.0 indicates alkalinity that can create mineral deposits inside pipes. kidney stones and bone loss. Silver (Ag) Poisoning causes a skin discoloration. Turbidity: Turbidity is the lack of clarity or brilliance in water. This can affect water treatment systems such as UV lights for disinfection, reverse osmosis units, sediment removal systems, and ion exchange treatment systems. Uranium: naturally occurring substance that is mildly radioactive. Vanadium: The health effects in humans has not been established. Studies in pregnant animals showed minor birth defects. degreasing agents and other industrial solutions. The EPA and DEQ monitor thousands of chemicals that fall under this classification.